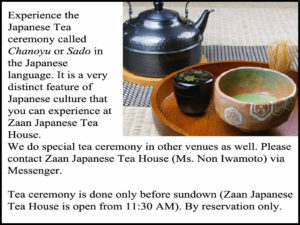 Zaan Japanese Tea House describes itself as a “cozy bistro.” In fact it’s a tea house, bistro, and more. Japanese tea houses were traditionally kept simple and plain to enable the host and guests to fully appreciate the inner experience of drinking tea in an atmosphere of refinement and respect. Today most tea houses are like coffee shops, serving as places to grab a bite, meet with friends, do a bit of work or study, or chill. Zaan is no exception but it hasn’t totally given up on tradition. It has a raised tatami mat section, almost a chasitsu (tea room), where a traditional Japanese tea ceremony can be held by special arrangement for a few individuals. 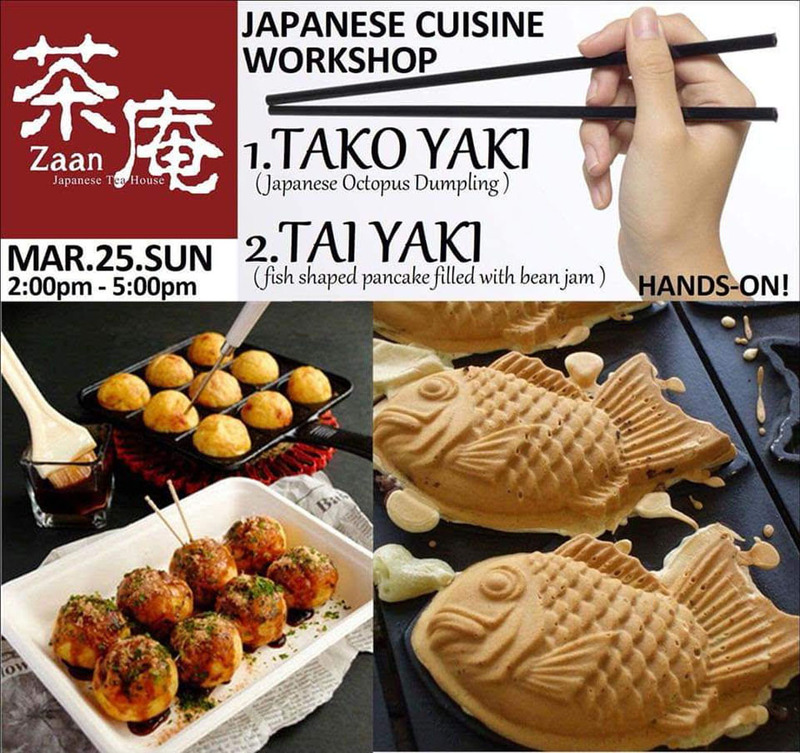 Zaan’s menu offerings are varied but owner Non Iwamoto, an empty nester, emphasizes that they’re based on home-cooked meals she used to prepare for her family. This qualifies Zaan as a Japanese bistro, and one partial to healthy food preparations, but not completely. 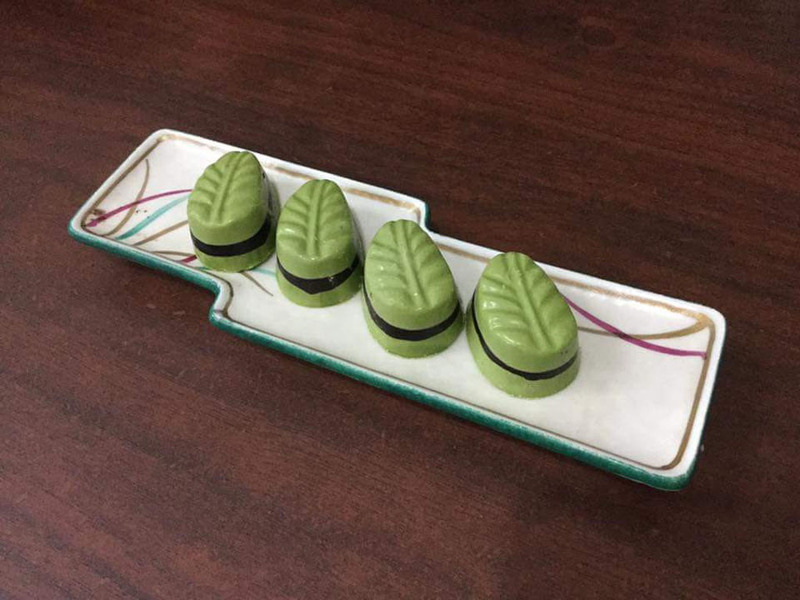 Zaan was an offshoot of the success of Iwamoto-san’s TsokoFino, her own brand of handmade chocolate treats made with Philippine cacao and local ingredients such as mango and pili nuts. This is why the Japanese tea house/bistro has locally made chocolate products on display. 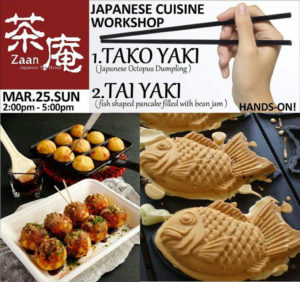 Iwamoto-san’s roots, experiences and culinary concoctions make an interesting medley but there is yet another side to Zaan. She is friends with the Fernandezes, Dr. Tony and his wife, Nanette, both members and past officers of PHILAJAMES. 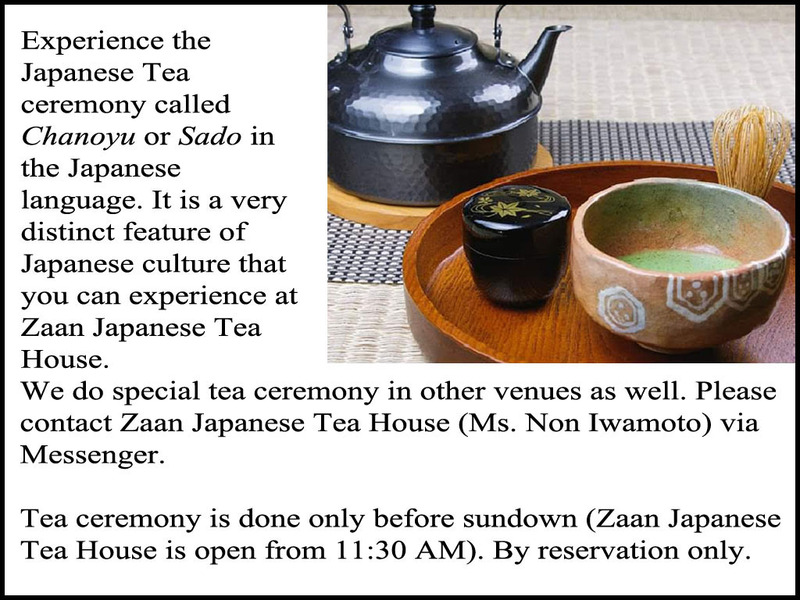 It was a partnership with Dr. Tony Fernandez that led from TsokoFino to Zaan, and from Zaan the tea house/bistro to Zaan the Japanese culture hub. 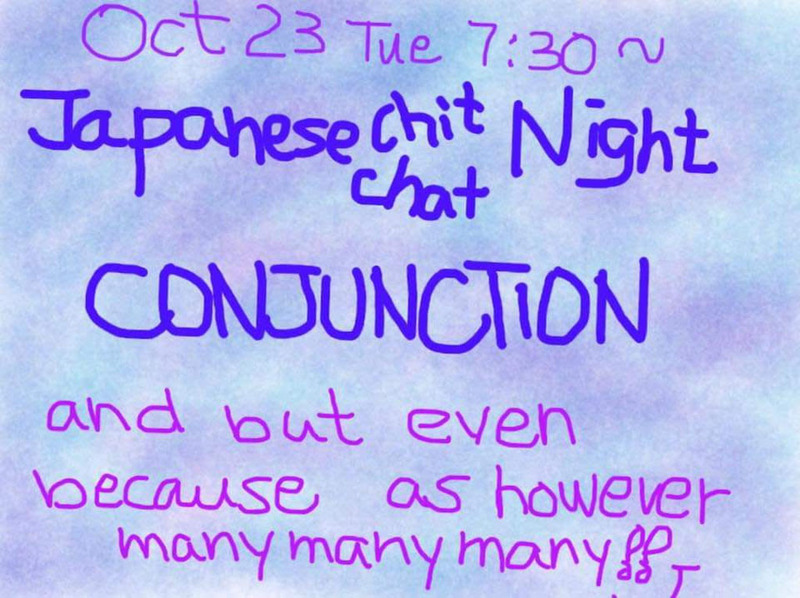 On certain nights Zaan is filled with the sound of “chit chat” when free Japanese conversation practices are held. 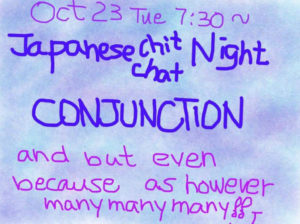 On other days it gets busy with participants learning to prepare Japanese food for a reasonable fee. Want to try on a kimono? Try your hand at ikebana? Get in touch with Zaan to see what’s on their schedule or what they can work out with you. For everything Zaan is, there’s only one thing I can say: I hope there are more places like it and one close to where I live.